1. 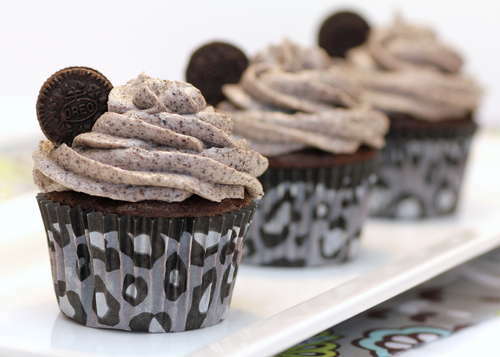 Death by Oreo Cupcakes. I originally planned to make these before Jon was scheduled to be back home tomorrow. But then I decided it would be a better idea to save them for next week. That way if we have any leftovers, I can just bring them home with me to Alabama when I visit next weekend instead of us gorging on them here all by ourselves... Because I have a feeling I'm going to want to every. single. one of them. 2. I can't wait to host my first dinner party at our new home. And looking at images like this one from a fun wine party isn't helping. 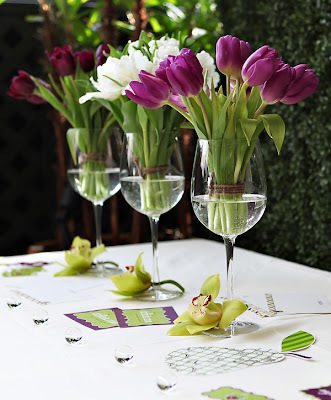 Tulips and twin in wine vases...yes, please. 3. 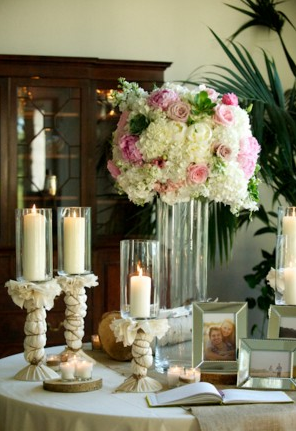 Speaking of parties, look at this party decor idea for giving your candlesticks an update-wrap them in fabric! 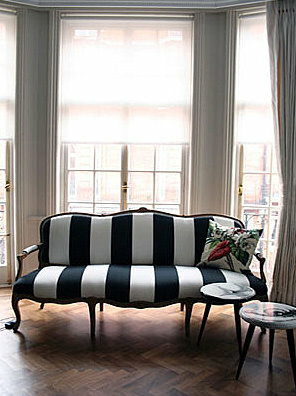 You can make them match any theme you like simply by switching out the fabrics. 4. I love the idea of taking an old cabinet and hanging it sideways up on the wall for more storage. You don't sacrifice any floor space, which is usually pretty limited in a bathroom anyway, and you have a new, unique piece for your space.